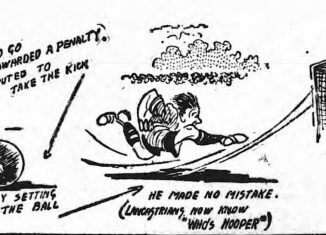 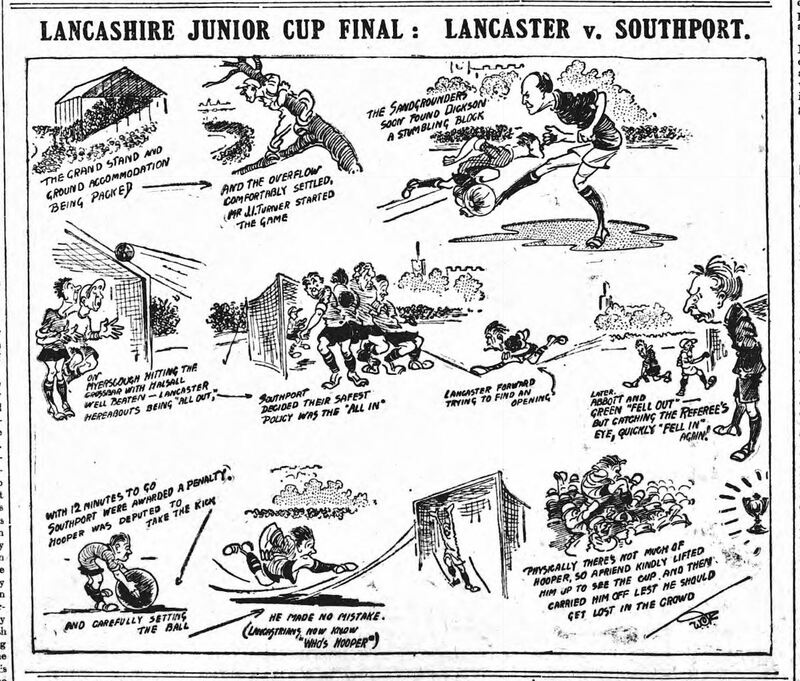 A coin toss decided the venue of the Lancashire Junior Cup Final, on this day in 1920 as no suitable neutral venue was available. 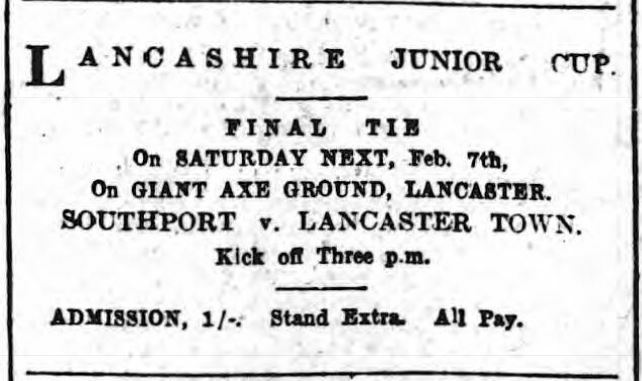 Lancaster Town won and their “Giant Axe” ground was to be the host, ensuring that they had been fortunate to have been drawn at home in every round of the competition. 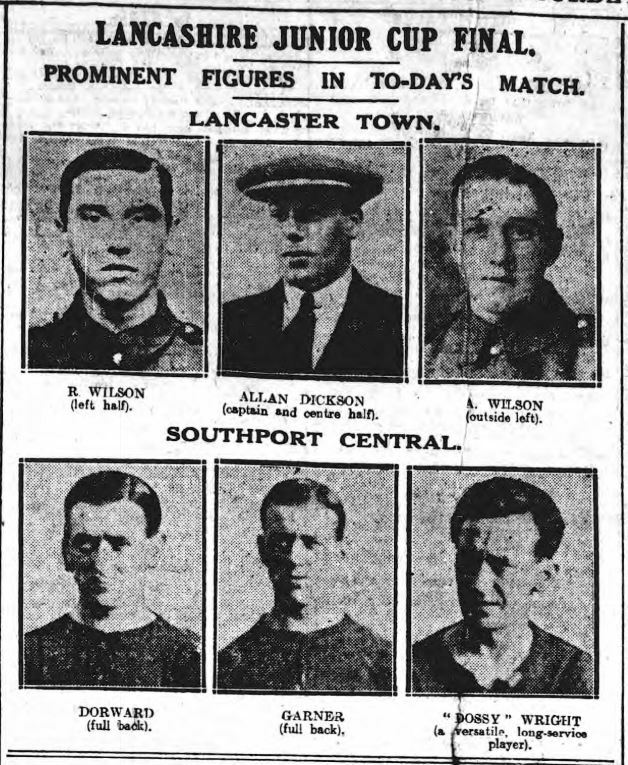 It was to be a test of the strengths of two rival leagues as the Central League and Lancashire Combination each offered a side. 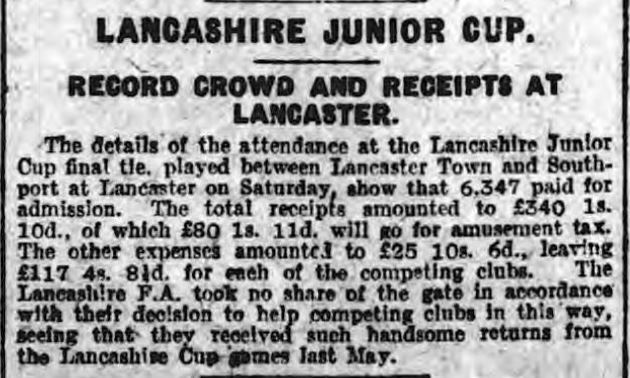 The demand for tickets greatly exceeded the available supply and all North Lancashire and District League fixtures were postponed to allow the players and officials to attend the game.